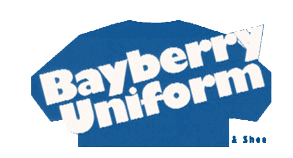 The following agreement ("Agreement") sets forth the terms and conditions on which BAYBERRY UNIFORM AND SHOE ("BAYBERRY UNIFORM AND SHOE", "We", "Our" or "Us") offers your company (also referred to as "You" and "Your") access to this Internet web site (the "Site") to purchase We products through the Site and have them shipped to You. Any reference to "use" of the site shall include use of the site, related services, and purchases made hereunder. By using this web site, You indicate that as an authorized representative of Your company, You have read, understand and agree to be bound by the entire Agreement below, as well as all posted operating rules and policies of the Site. Although You may "bookmark" a particular portion of the Site and thereby bypass this Agreement, use of the Site still binds You to the terms. Since We may revise this Agreement at any time, You should visit this page periodically to review the terms of Your use. If You do not agree with any of the terms and conditions herein, click on the "No" button below, and You will be automatically linked back to the We home page.